WHO & WHAT: SW FL business leaders, Realtors and Chamber of Commerce officials. 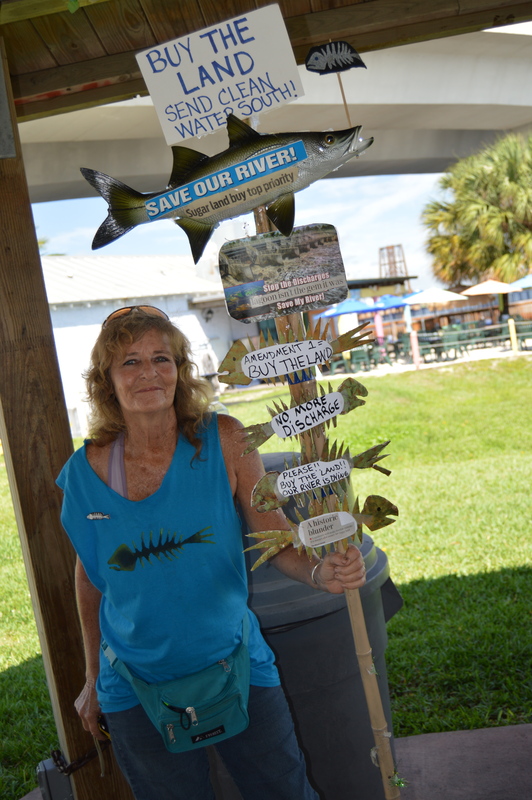 Boaters, fisherman, kayak and paddle boarders will take to the water in support. Singer/songwriters: North Captiva’s Bob Hipkens and Austin Church from Cocoa Beach. Florida Realtors’ water quality/home values study. 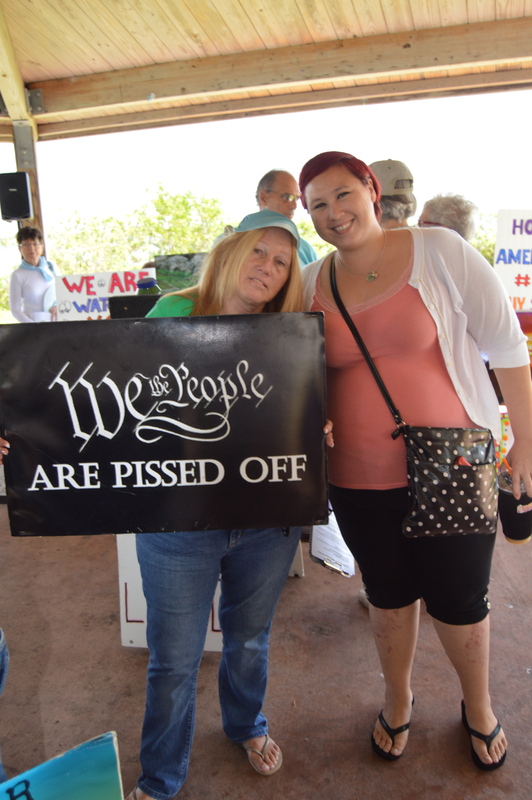 Videotaping of messages to the Governor and Leadership will also be captured and Queenies ice cream will be served. Banners, posters. Painted fish. 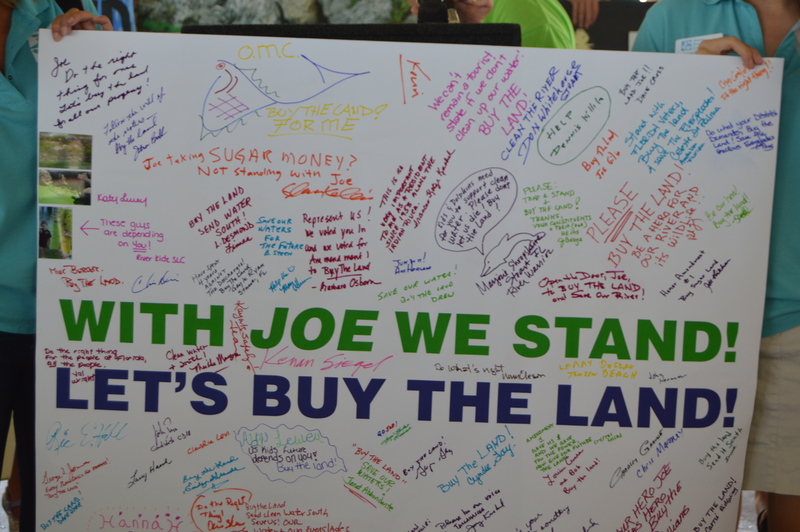 Background: There is broad public support for exercising the 48,600 acre purchase option in the US Sugar contract, but water managers must take action now for the process to begin. 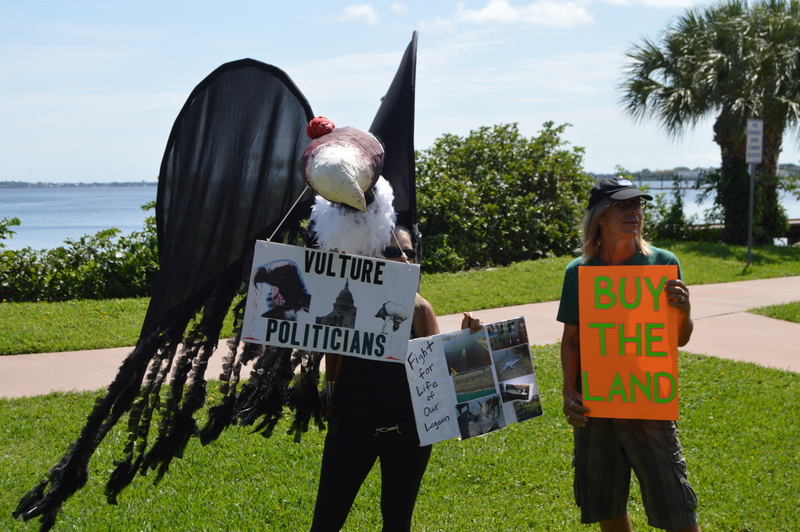 As polluted water is dumped to the coasts, the Everglades multibillion dollar restoration project, is starving for water. 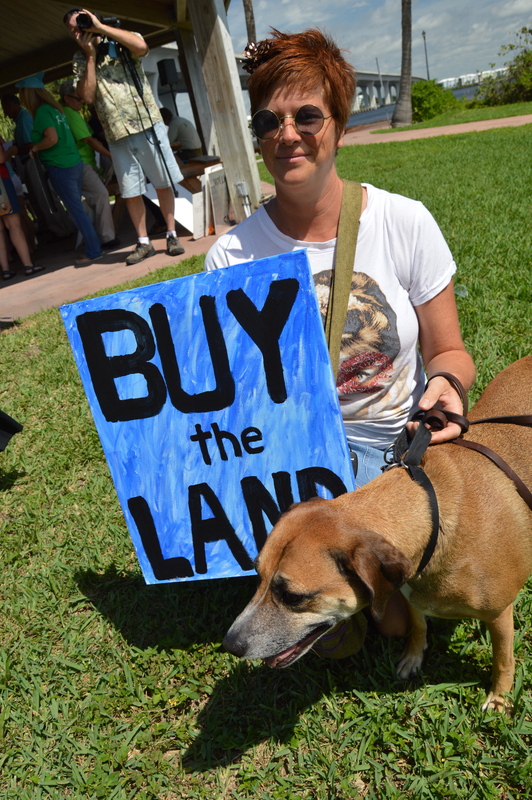 The solution, according to the scientific community, is to pursue 48,600 acres of sugar land to store and clean the water. Bustor Brown and his human Jennie Pawlowsky. This entry was posted in clean water, environmental, everglades, florida, florida legislature, my martin county, Places I love and tagged acasia gum, alan farago, amendment one, army corp of engineers, audobon, brack obama, buy the land, celeste de palma, chris dzadovsky, clean water, congressman patrick murphy, discharges, ed fielding, environmental, everglades, everglades foundation, florida, Jacqui Thurlow-Lippisch, jason Totois, martin county commission, mary perry, mayor, palm beach soil, stuart, troy macdonald.